New House While Still in a Consumer Proposal? Dear Ross, my wife and I are both in the early stages of making monthly payments towards consumer proposals. I pay $575 per month and she pays $450. The reason the payments are so large is because we have good equity in our home. For any lender to consider giving you a mortgage you must pay off your consumer proposals in advance of the date you plan to close your purchase. Now this does not mean there will be a line up of lenders waiting to give you a mortgage. It just means you have a chance – and it will not be with a bank or credit union or any other “A’ lender, it will be with an alternative lender such as HomeTrust. To qualify for an “A” mortgage, you will need to re establish your credit history with two new trade lines for at least two years and with limits of at least $2,000. This opens the door to a few, not all A lenders. In the meantime, thank your lucky stars we have alternative lenders who are willing to look at the big picture. A company like HomeTrust would typically want to see you put up at least a 25 to 30 percent down payment; be able to verify you have more than enough income to service the mortgage; and that you have already taken steps to rebuild your credit score following the completion of your consumer proposals. All roads lead to paying your proposals in full now – if you sell your home now, you will have to live somewhere else until your new home is ready. But unless you take out a second mortgage, you will have to do that anyway. You cannot expect to sell your home; pay off your proposals; and close your new home purchase all on the same day – it isn’t going to happen that way! Yes I know second mortgages are expensive. Their interest rates are much higher; you normally have to pay a lender fee and a broker fee; and you will also be expected to pay for the lender’s legal fees and disbursements. But they do have their place. If it helps achieve a major goal otherwise not achievable, then a second mortgage should be considered. And always always always, if you go down this path, you must have an exit strategy. You want to be in that world for as short a period of time as possible. Your goal will be to fast track from the second mortgage world —–> alternative lender world ——> ‘A’ lender world in two years or so. I will help you achieve this goal as quickly as possible. 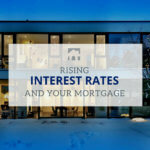 Ross Taylor is a mortgage agent and credit specialist who blogs frequently at ASKROSS. If you have any questions about anything financial, send him an email at info@askross.ca, he answers everyone.